I received a phone call today from CA Fish and Wildlife, that a collared Wolf (OR-54) has been tracked to Nevada County. This is the same wolf that visited Nevada County last year. 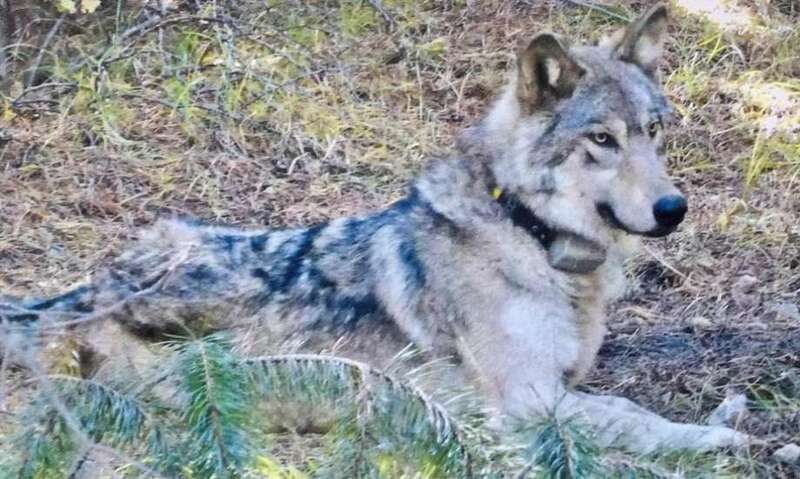 The wolf was last tracked to the Washington/Gaston area. Fish and Wildlife believes that she is alone at this time. Please let me know if you have any questions or concerns. The County may put out a press release in the coming days. For background, last year’s visit was the first wild grey wolf confirmed in Nevada County in at least a century. Her father, OR-7, became the first wolf seen in California since 1924, as the San Francisco Chronicle reported. Still no word from The Union, or the local blogs of Boardman, Juvinall or Rebane.